Mix and Chic: Home tour- A stylish and feminine New York apartment! 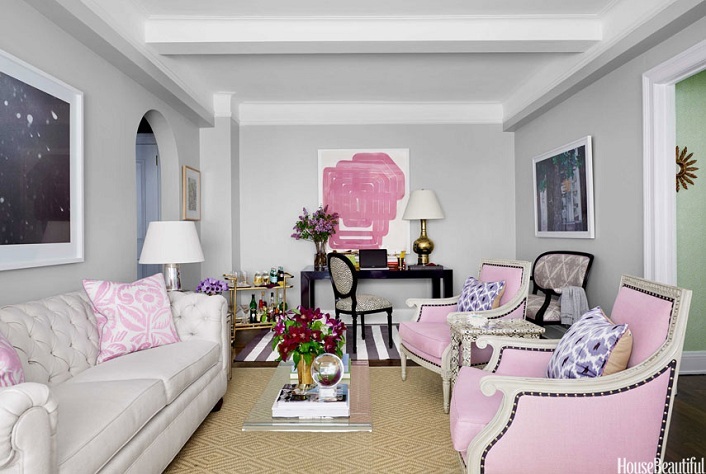 Home tour- A stylish and feminine New York apartment! 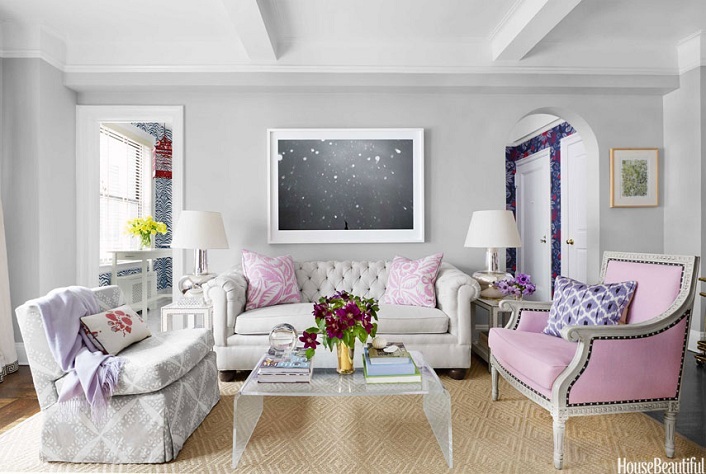 Designer Ashley Whittaker creates a feminine and stylish home in a small, 800 square feet New York apartment by using a beautiful lavender palette and bold patterns. Let's check out this glamorous home, shall we? The chic living room and the colorful entry definitely caught my eye. 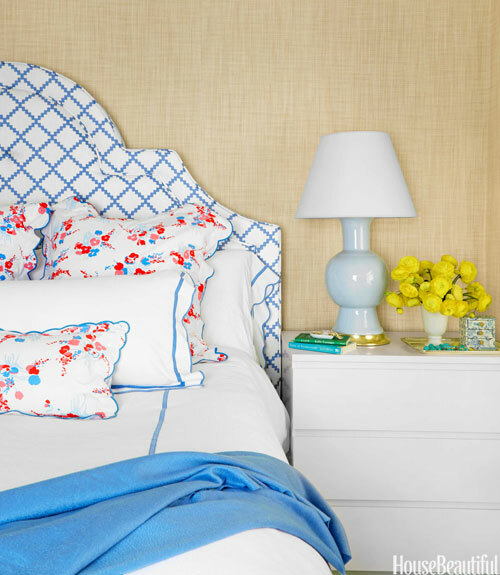 I am also drawn to the stylish custom headboard and the pretty pillow shams in the bedroom. To make this home feels larger, small scaled furniture and exciting patterns are used so that our eyes are focused on the visuals instead of the size of this small apartment. I think the designer did a fantastic job making the most out of this apartment. I feel truly inspired by this beautiful home. Do you enjoy this home tour as much as I do? 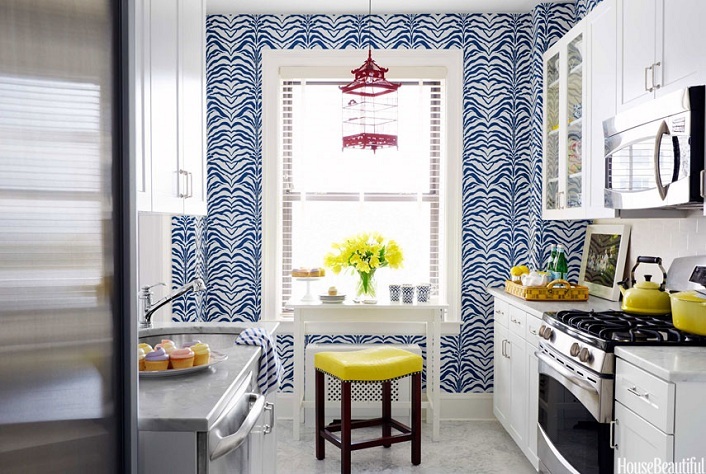 Have you use any bold colors or patterns in your home recently? I love her wallpaper choices. So fun. That literally was one of the best issues of House Beautiful in a long time, I loved EVERY spread!!! Ok, so I LOVE this apt! But i'm so confused by it. Please help a girl out. Is pic 1 the same furniture as pic 3? Did they rearrange the furniture mid shoot? It looks like the sofa is a loveseat in pic 1 but super long in pic 3. Same deal with the chairs, I thought it was a settee in pic 1 but then I see pic 3 and there are 2 chairs and they are in a different location. This has been killing me! Home tour- A New York home makeover! Home tour- Rustically charming seaside home! Home tour- A lakeside family retreat in Ontario! Guest post- Tips To Design A Living Room! Guest post: Five ways to decorate on a budget! 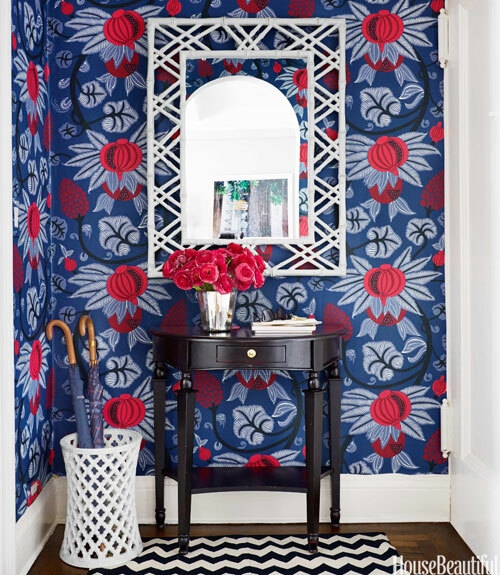 Sprucing up your living room using wallpapers! Home tour- A casually chic Atlanta home! Home tour- A summer house in Paradise Valley! Cool designer alert- Mark D. Sikes! A small yet highly functional kitchen! Cool designer alert- Julie Goldman! Home tour- A gorgeous and welcoming Madrid home!